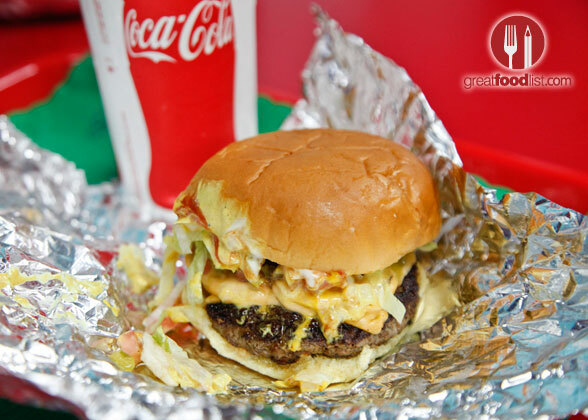 The rise of elaborate, gourmet burger joints has spread across South Florida. 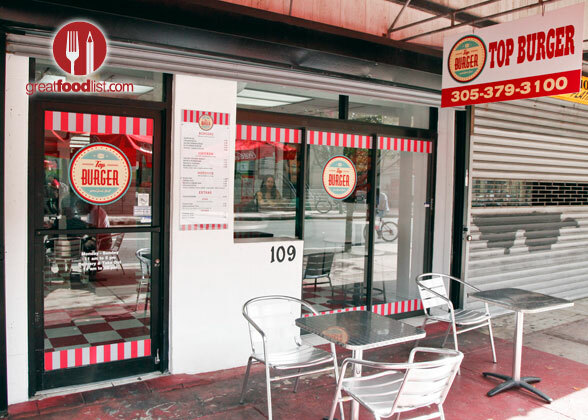 In downtown Miami, one eatery has taken a different path and it’s paying off. 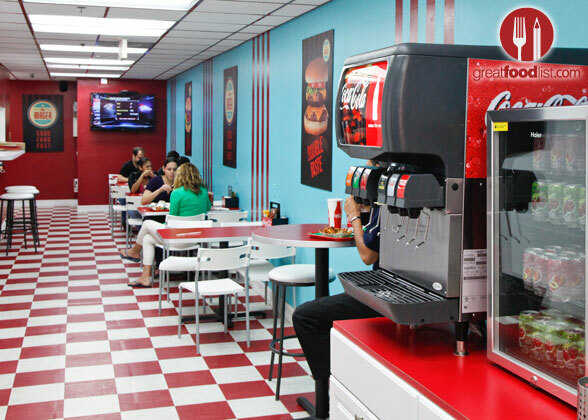 Top Burger, which opened last summer, is reminiscent of a 1950s soda pop shop or diner, complete with checkered flooring. 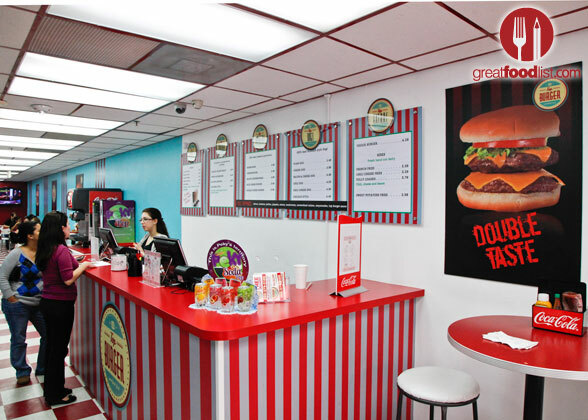 They specialize in burgers, hot dogs, chicken sandwiches, french fries, and milk shakes. Nothing too fancy to look at, but the quality and flavor is on point. 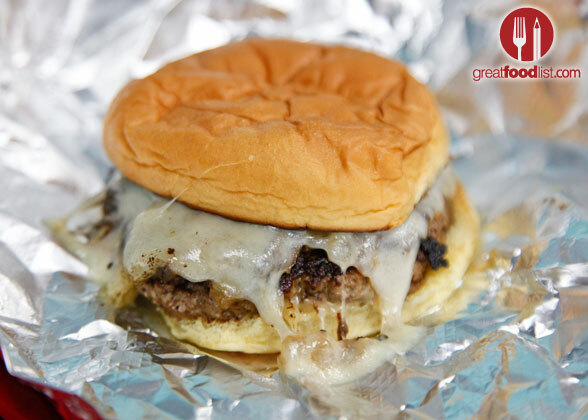 According to the owners, they use “only fresh, all-natural ingredients.” Burgers are made with 100% Angus beef. 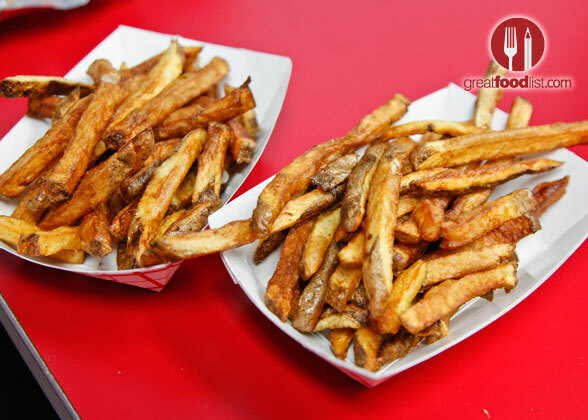 The fries (sweet potato or regular) are fresh-cut daily, fried in peanut oil and boast zero trans fat. You get five burger options: plain, cheeseburger, double cheeseburger, topped with bacon, or bleu cheese. And of course, there’s a veggie burger option. We love that that they offer an array of toppings free of charge, including lettuce, tomato, pickles, jalapeños, onions, mushrooms, caramelized onions, mayo, and Top Burger sauce. The chicken sandwiches are good too and they have six Kosher-style hot dog options, from chili dog to bacon and cheese. 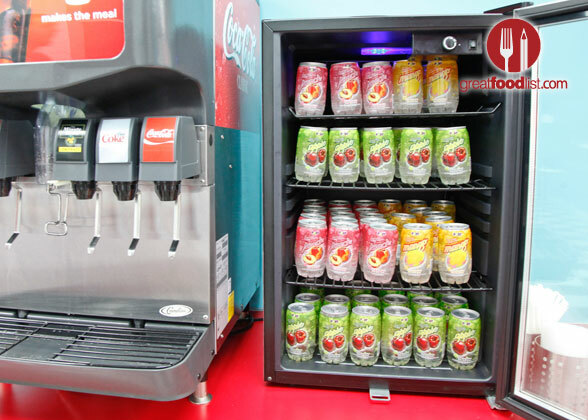 Wash it down with a cool soda or handmade milkshake. 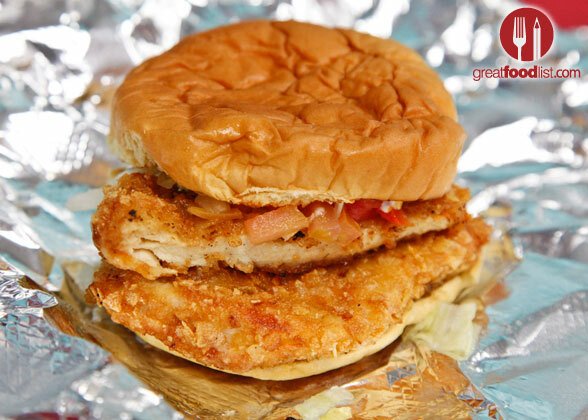 Burgers and sandwiches are priced from $4.89 – $6.89. Hot dogs are $3.49 – $4.49. Fries sold separately (some with toppings), from $2.59 – $3.79. Monday – Wednesday, 11 a.m. to 5 p.m.
i tried, and its delicius. Its the same, but different.